Rising Solar Power system division designs solar system for all users. Our solar systems are of innovating design and user friendly for both AC and DC power generation. Home, Schools, Clinics, Computer centers, social centers are regular users of this. 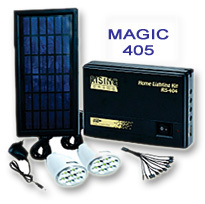 Be it a small NO LIGHT HOME or a Large Solar Power plant we have solution for all. 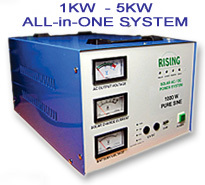 We make ON-GRID and OFF-GRID Systems.